Could politics pull Zuckerberg away from Facebook? 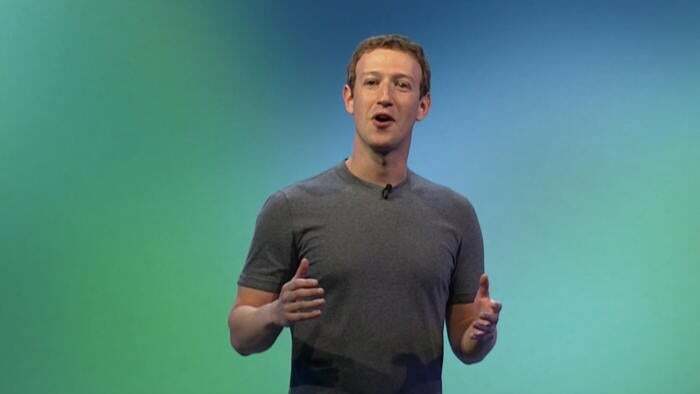 What would Facebook be like without co-founder and CEO Mark Zuckerberg at the helm? That's the question raised by an interesting line in a proxy Facebook issued earlier this year. A section of the proxy, issued before the company's annual meeting, reads: "... Mr. Zuckerberg's leave of absence or resignation would not constitute a Voluntary Resignation if it were in connection with his serving in a government position or office..."
It's a statment that has some wondering whether Zuckerberg, who has donated a lot of money for education and is focused on immigration, is contemplating a run for political office or at least setting up a contingency plan in case he one day wants to. "I don't recall ever seeing this line in a proxy report before," said Dan Olds, an analyst with OrionX. "It certainly doesn't read like the typical boilerplate language you usually see in them. Zuckerberg has been increasingly outspoken on political issues and causes in recent years, so I could imagine that he might want to take a real position with real responsibilities at some point." A spokesperson for Facebook was less specific, only saying that Zuckerberg plans to run the company for the long term, noting that the proposal is set up to cover his lifetime and different hyperthetical contingencies. Rob Enderle, an analyst with The Enderle Group, said he wouldn't be surprised if Zuckerberg had political aspirations. "I think [the line] likely was added because there was a chance he would end up with a position," said Enderle. "He would be a very powerful voice for technology." However, he also added that proxies are very conservative in general, which means the chance of Zuckerberg leaving the company to run for office could be remote and company lawyers were just covering their bases. If Zuckerberg were to leave Facebook, it could mean big changes for the world's largest social network - affecting how it operates, what technologies and features it pushes and how it is viewed. "Zuckerberg is the face of Facebook," said Enderle. "His resignation would likely drop the valuation of the company significantly.... Certainly, this could hurt the company, but it doesn't have to if it is handled well. Clearly, putting this in a Proxy, without any effort to control the message, suggests they wouldn't handle this well." Jeff Kagan, an independent industry analyst, noted that Zuckerberg and Sheryl Sandberg, Facebook's COO, both are directly tied to the success of the company. So a Zuckerberg departure would rattle the business. "If Zuckerberg left, the resulting earthquake would shake the company to the core," he said. "It would have impacts both on financial stability, as well as feature development needed for growth.... If Zuckerberg leaves Facebook, the company would dramatically change." Olds, however, thinks Facebook would continue to be a successful and stable company. "I think that the company would be fine financially, at least from a revenue and earnings perspective," he said. "He has surrounded himself with good senior management who can run the company in his absence. However, it would probably have a larger impact on the stock price. Wall Street holds Zuckerberg in awe and seems to think that he personally is running all of Facebook. I think this is primarily because Zuckerberg has defied their expectations and the company has performed much better than Wall Street predicted when they went public."